India’s second largest car manufacturer has had suspended two of the base models in the Verna Fluidic range. These models comprise of 1.6 L VTVT and 1.6 L CRDI. However, with the disconsolation of the two models, the company has warmly welcomed five new variants in the range. These include 1.6 VTVT EX and 1.6 VTVT EX AT in petrol, whereas in diesel, 1.4 L CRDi EX, 1.6 CRDi EX and 1.6 CRDi EX AT. Adding on these variants have made the number in the Hyundai Verna array go up to 13, which means the consumers can pick their favorite amongst the 13 variants, as per the official site. 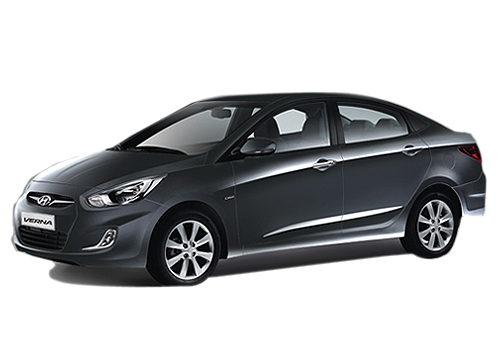 With so many variants, Hyundai Verna hasn’t cut down any competition in the market. The car is competing with Nissan Sunny, Honda City, Skoda Rapid, and Ford Fiesta and yet to be launched Honda Brio Amaze. Coming back to the addition of new variants in the Verna range, the new car variant will be missing out in many segments. 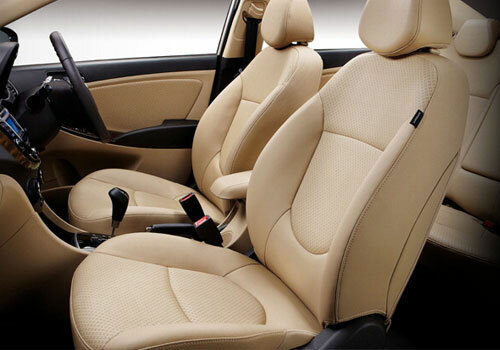 The absence of passenger side airbag, alloy wheels, cool glove box and electrically foldable ORVMs will be felt. But this has brought down the price to an extent. The Hyundai Verna EX Petrol 1.6 variant costs around Rs. 8.02 lakh, while the EX Diesel 1.4 and EX Diesel 1.6 costs approximately Rs. 9.10 lakh and Rs. 9.35 lakh respectively. On the other hand, there will not be any change in the engine specifications. You would still get 90PS of power and 22.43kgm torque from 1.4Litre, while 1.6litre petrol will be giving 123.05PS power and 15.8kgm of torque. The 1.6 litre diesel engine will be churning out the same 128PS power and torque of 26.5kgm. All and all, there are no major changes in the vehicle, plus you get to choose from a wide range 13 variants here.